Yes, I know I am so far behind on this Blind Spot challenge and that is just awful. I know, but time has run off away from me lately and I owe all my fair bloggers an apology for a) not being consistent and b) not dropping by. I blame a large part of that on this godforsaken laptop. It gives me the heebie jeebies just to take it out and beg it to work. Ugh. I am going to do my best to rectify that sticky situation of being so inconsistent. Now that we have that out of the way, let’s get back to the review, even though it is extremely late to the party. 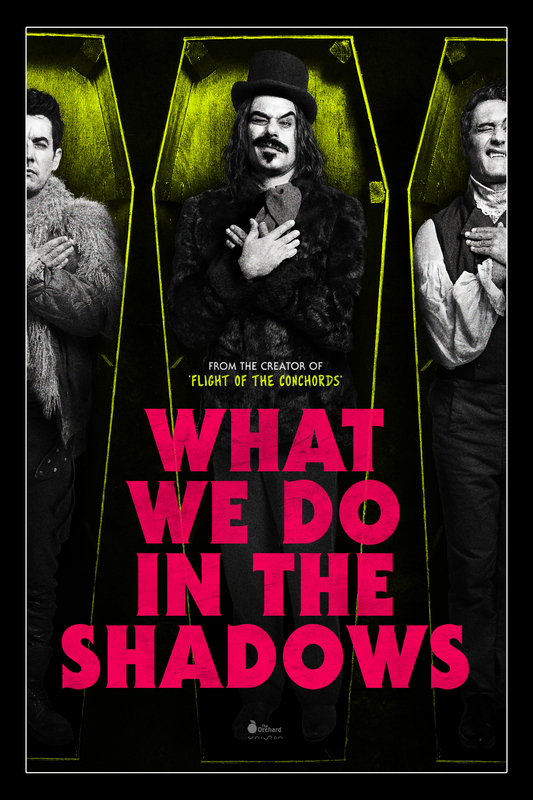 We all know that I adored What We Do In The Shadows, so I was interested to hear that this was a mockumentary. 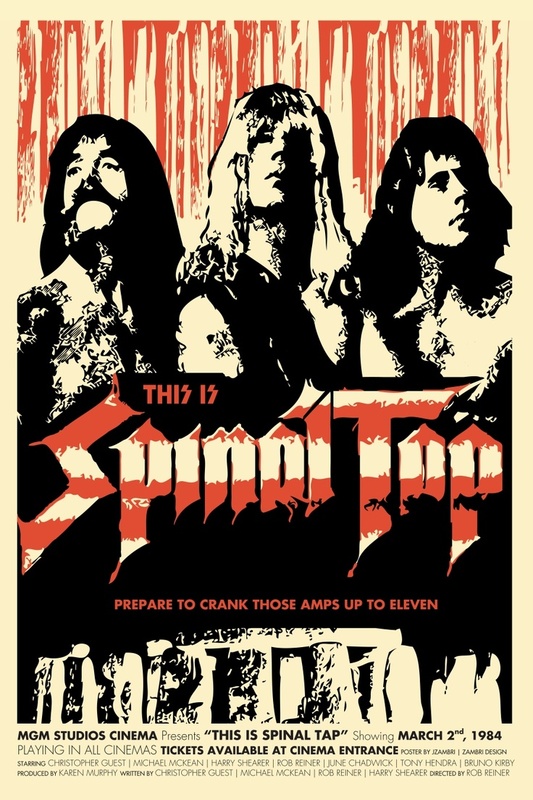 This Is Spinal Tap is iconic and has been quoted everywhere, but I had no real concept of what it was, and when I started watching it, I knew that it was going to be entertaining. I love old school metal/rock. I mean we have The Rolling Stones, Black Sabbath, Led Zeppelin, Motörhead, AC/DC (and this is just if you are naming the really popular ones) that dominated the era, and this mockumentary rolls with it, and does so well. Form the outfits to the performances, This Is Spinal Tap taps into it all (har har har). The music is truly fantastic and truly captures the times, though the lyrical content surely leaves a lot to be desired. The movie is fun and hilarious, because so many of the stupid things that happen to the band are not that completely out there. At all. Then then there are the characters peppered throughout the film. Some you will like (such as Derek Smalls), and some will just irritate you for numerous reasons (I’m looking at you, Jeanine, even though I know you were deliberately written like that). There is also a ton of quotable content here, which has been demonstrated throughout the decades. This Is Spinal Tap is filled with plenty awkward moments and some ridiculous but entertaining dialogue, and it is plain down fun. It is very aware of what it is, and plays up to all the crazy that it can. The movie has a ton of fans and I get it. I had a few good laughs, and think it came together really well. And as a mockumentary, Reiner did fantastic work. If you aren’t totally aware that it is a piece of fiction, you can understand why a lot of people were taken in thinking they were watching a real documentary. Well worth a watch. I have been meaning to get to this for so long, and finally I got the opportunity. You know what? I had such a good time with this movie! It was hilarious. Wow. I cannot tell you how much fun my fiancé and I had watching this. We popped it in, had no real expectations, and promptly started laughing and it continued in that fashion for the next hour and a half. The vampires we are introduced to, Vladislav, Viago, Petyr, and Deacon, are just mad. Arguing about dishes that haven’t been washed in years, all tiptoeing around Nosferatu lookalike Petyr, arguing as to what it means to be a vampire, the mundane lives they are living, this all came together well. The fact that this was shot in a mockumentary style, which is something that I was a little wary about because it is usually something that filmmakers try and fail dismally at. However, it was it he perfect medium to tell the story. Imagine these centuries-old vampires living together in a flat, from all sorts of avenues of life, and now together in New Zealand for their different reasons. New Zealand has been doing a really great job with the horror comedy genre recently, I have to say. Anyway, Nick was a character that came in and I liked, but let’s face it, we all still liked Stu more for some absurd reason. The werewolves with their classic line on being “werewolves, not swearwolves” had me in stitches every single time they said it, and the interactions between the vampires and werewolves was highly entertaining. The play that was made on vampires today and what we know was done very well, and I found the movie to be really witty and balancing just enough cheese and lunacy in it to be wonderful. What We Do In The Shadows is a comedy that is smarter than most will probably give it credit for, and is infintely quotable. In a day and age where vampires have been overdone and made to be superbly ridiculous, this is such a refreshing watch which I highly recommend.